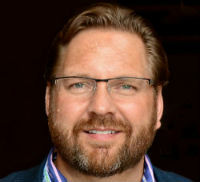 What are the top challenges marketers and communicators are facing in the world of content? 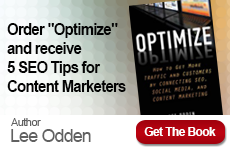 Are you curious about what collaborative content marketing is and what it can do for your business? 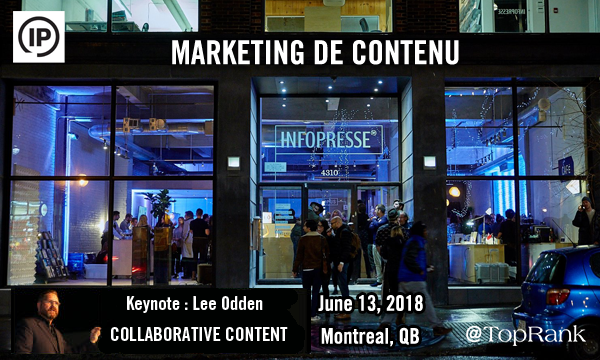 To get answers to those questions and more, we invite you to join TopRank® Marketing chief executive and co-founder Lee Odden to learn the most effective strategies and tactics around collaborative content marketing, during the Marketing de Contenu conference on June 13, 2018 in Montreal, Québec. Lee brings his noted collaborative content marketing background to Montreal’s Society for Arts and Technology for “Collaborative Content Marketing: Opportunities & Best Practices to Scale,” which he’ll present as a keynote on Wednesday, June 13 at 3:00 p.m.
Lee will examine the converging roles of social media and content marketing that are creating rapid demand for new strategies, skills, and expectations. As earned and owned media intertwine, marketers who fast track their ability to adapt and evolve will gain a competitive advantage over the competition. In this presentation, you’ll learn about the top challenges marketers and communicators are facing in the world of content (Lee also notes that zombies are involved!) 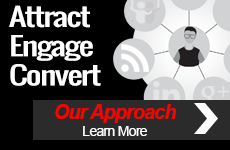 plus tested and proven models, strategies, and tactics for content marketing based on an integrated and cooperative approach. Registration and complete conference details are available on the Marketing de Contenu 2018 website. We hope you’ll join us there for Lee’s fascinating keynote finalé.